When I was in grade school, I had a yaya (house maid) – several yayas in fact that took care of me. I would buy a new stuffed toy almost every week, thanks to your grandpa, and I would often go clothes shopping with your grandma. We weren’t rich but I thought we were doing very well. And then, at some point, we weren’t. Money was really tight. I remember getting teased at school because I only had enough cash to buy my favorite sour cream Vcut chips but then, the price went up from 10 to 12 pesos so, I couldn’t even afford it anymore. I was also made fun of for wearing shoes that weren’t branded. Hey, at the time, I thought they looked pretty cool. Then, when the hippest phone was a 3310, I still had a 5110. I was very envious of other kids for not needing packed lunches, having cash to spend, wearing expensive brands and owning the latest devices. That was high school. But through college, followed by a few years of work, my financial status kept shifting and ultimately, my thinking changed. I mean I still like having nice things but even if I don’t have them, I’m okay. Right now, we are not rich, quite far from it. But we are blessed. Childcare is too costly but your Titas (aunts) have been helping us out. We have a roof over our heads, food in our fridge (after we do groceries soon) and our friends and family have gifted you with a constant supply of clothes and toys. Sometimes, we will have nice things, sometimes, we won’t. I want a nice, comfortable life and the best things for you, and I know that growing up, you will still want what you don’t have. But Son, I hope that when you get older, you realize that the best part of life is enjoying what you do have. Right now, I don’t need to tell you that. 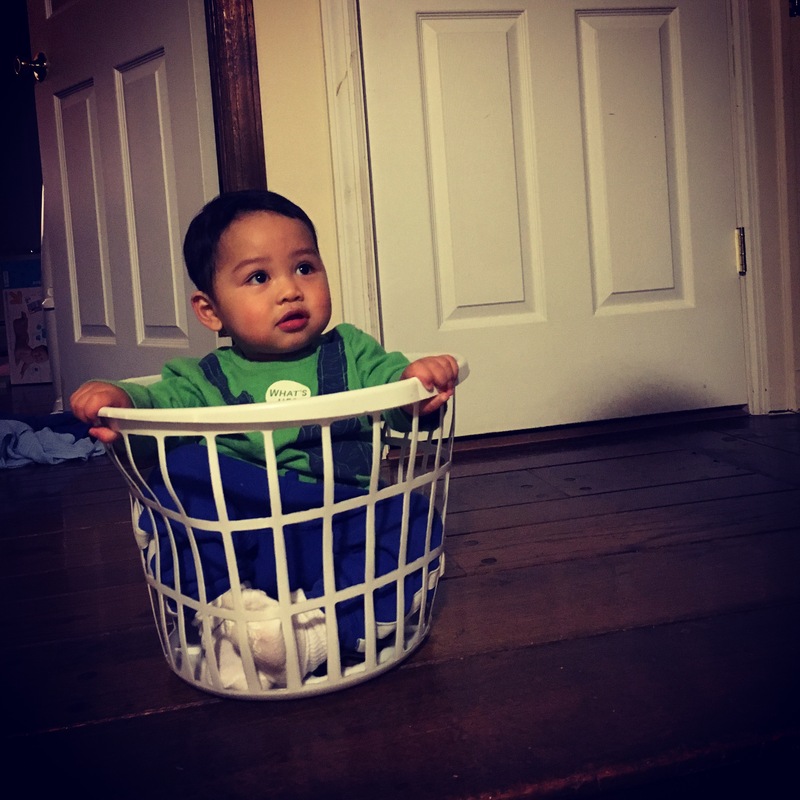 But when you start experiencing teenage angst due to material things, like your mother did, I might have to show you a photo of your toddler self, enjoying a laundry basket more than your actual toys.